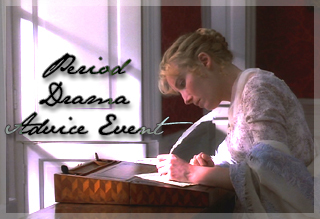 Pride and Prejudice is set in 19th century England. 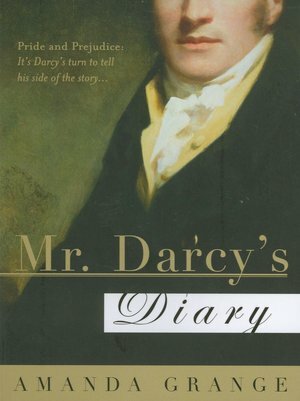 The novel starts out starts out with a young man called Mr. Bingley and his friend Mr. Darcy settling in a small, rural town. All the townspeople with daughters who are of a marriable age are in a flutter, but especially a woman called Mrs. Bennet. She has 5 daughters and no sons, so of course she wants them all married well. 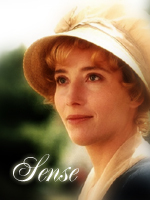 Mrs. Bennet schemes to marry off one of her daughters. Her second oldest daughter, Elizabeth doesn’t approve of her mother’s plans. Will Jane marry the man she loves? Will Elizabeth marry the man she doesn’t love? Or will Lydia’s flirtations ruin all her sisters’ chances? Read this novel about matchmaking, arrogance, and true love to find out. My inclination was to walk out and leave Lydia to the life she had made for herself. But the thought of Elizabeth’s pale face sustained me. ‘Meet me at my club tomorrow,’ I said to Wickham. As I left the house, the memory of his insolent smile went with me. I met Wickham at my club and the negotiations began. ‘You must marry her,’ I said to him shortly. He crossed one ankle over the other and lay back in the chair. ‘She ruined herself,’ he said. A waiter passed, and he ordered a whiskey. I did not react, knowing he did it only to annoy me. ‘How much do you owe?’ I asked, going straight to the heart of the matter. ‘I am doing this for my own conscience,’ I said. I said nothing, but he must have guessed it from my face. He had the upper hand, and he was enjoying using it. ‘I can go to Bath, or Lyme, or the Lake District,’ he said. ‘I do not have to live here.’ But I could tell he had no stomach for further flight. ‘Do so,’ I said, calling his bluff. I stood up and turned towards the door. ‘Good,’ I said, sitting down again. I stood up and left the club. He will come to me soon enough. He has nowhere else to go. I do not relish seeing him, but the knowledge that it will ease Elizabeth’s fears recompenses me for any time or trouble I might take, and I hope that, before very long, I will see her happy again. 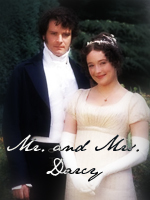 Elizabeth Bennet and Mr. Darcy have been married for about a year. They have a young son and Georgina is about to have her come-out ball. Elizabeth is perplexed by all the decisions and problems she will have to wade through and to add to this Mr. Darcy wishes her to learn to ride. 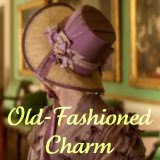 Elizabeth harbors a fear of horses, but will Mr. Darcy find out too late? 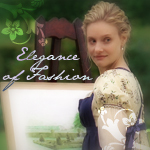 When Sara is jilted by her fiancée, who is annoyed at her obsession with Austen, she is in despair. He leaves her with a lock of Jane Austen’s hair. 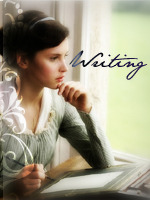 When Sara wakes up the next morning she finds the ghost of Jane Austen in her house. Jane wants Sara to write a book which will take all her talents. Will Sara be able to write the book AND make up with Charles? A young lord gives a copy of Pride and Prejudice to Elinor, the woman he secretly loves. 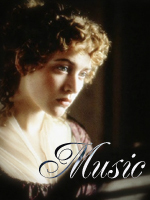 When he confides that a certain Miss Jane Austen, who lives in their village wrote the book, Jane gives Elinor some advice about the kissing plant and shows that sometimes love can come unexpectedly. For an early New Years gift (we don’t celebrate Christmas), my Dad bought me all the Jane Austen novels in a beautiful boxed set. Since I don’t own any actual Jane Austen novels (didn’t own! :)) I was really excited and happy to have them all now. The only problem we had was that Mansfield Park‘s pages were badly crushed but we were able to exchange it for and almost identical copy. All the novels have blue spines (except M.P. which has a black one), and are paperbacks. I recently watched this great movie so of course I wanted to do a review of it. For starters, the Kiera Knightley and Matthew Macfayden are THE Elizabeth Bennet and Mr. Darcy. I really like Colin Firth’s and Jennifer Ehle’s performance too, but K.K. and M.M. are the best. The music, the scenery, and the costumes are all wonderful. Elizabeth does have her hair down more than once (a Regency no-no), and George Wickham looks so creepy that it’s a wonder Elizabeth could believe his story. 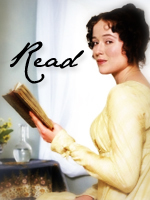 Elizabeth Bennet to Mr. Darcy: I dearly love a laugh. Caroline Bingley (with scorn): A family trait I should think. The story, even though it is condensed into two hours, follows the book very well. Lady Catherine (though a bit old for her role) looks a lot more imposing in this version than the Lady Catherine in the 1995 version. Again, the music, scenery, everything was wonderful. The characters were well cast and the plot is interesting and moves swiftly and interestingly. That is my opinion of the 2005 P and P…and now despise me if you dare. Thanks for taking time to read this post, and please come again soon. Jane Austen produced some extremely amusing instances in all her books. I would like to share a few of my favorites. Jane and Elizabeth attempted to explain to her the nature of an entail. They had often attempted it before, but it was a subject on which Mrs. Bennet was beyond the reach of reason, and she continued to rail bitterly against the cruelty of settling an estate away from a family of five daughters, in favour of a man whom nobody cared anything about. This seems to me a very funny passage with he way that Mr. Bennet leads his wife on and the verbal exchange that comes afterwards. Mrs. John Dashwood did not at all approve of what her husband intended to do for his sisters. To take three thousand pounds from the fortune of their dear little boy, would be impoverishing him to the most dreadful degree. She begged him to think again on the subject. How could he answer it to himself to rob his child, and his only child too, of so large a sum? And what possible claim could the Miss Dashwoods, who were related to him only by half blood, which she considered as no relationship at all, have on his generosity to so large an amount? It was very well known that no affection was ever supposed to exist between the children of any man by different marriages; and why was he to ruin himself, and their poor little Harry, by giving away all his money to his half sisters? His wife hesitated a little, however, in giving her consent to this plan. This argument was irresistible. It gave to his intentions whatever of decision was wanting before; and he finally resolved, that it would be absolutely unnecessary, if not highly indecorous, to do more for the widow and children of his father, than such kind of neighbourly acts as his own wife pointed out. This undoubtedly one of the most comic scenes in Jane’s works. Mr. Rushworth stepped forward with great alacrity to tell him [Edmund] the agreeable news. My mom and I laugh over this scene a lot and I know that I can always get her to laugh by quoting Mr. Rushworth’s words. Considering the behavior that follows this remark, it seems comical. There you have it. My favorite comic parts from Jane’s novels. Wonderful. Masterful. Brilliant. Well done. Spectacular. Awesome. Stupendous. I could go on but you get the picture. I really, really enjoyed it. (Not as much as the 2005 version, but never mind.) For one thing, I loved it’s completeness. It goes through the whole book without fail, and the actors and actresses often quote straight out of the book. One thing I did notice that was taken out was Caroline Bingley’s flattering Mr. Darcy on the evenness of his handwriting. But since this is a small point it doesn’t matter too much. My next point is the music. I love, love, love the music! It is just sounds so wonderful. Of course, I can’t explain it, but you know what it’s like if you’ve seen it and I’m sure everyone agrees with me. The costumes and the sets are very, very well-done. I like all the clothes that Lizzy wears especially the navy blue coat with the plaid scarf. And of course the scenery is beautiful. There is of course, high humor in Jane Austen’s novels and the movie follows through bringing us the pompous Mr. Collins, the domineering Lady Catherine and of course William Lucas. 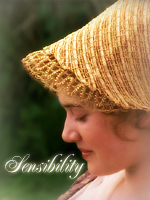 Mr. Bennet and Mrs. Bennet are very well portrayed as are Kitty, Mary and Lydia. This movie is very well done and I would advise you to watch it if you haven’t already. 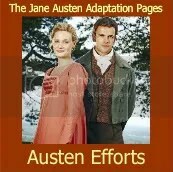 It is a true Austen classic. For some unknown reason, M.P. 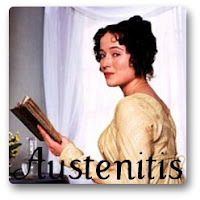 has usually received a bad rap among Austen fans. “It’s too dull. 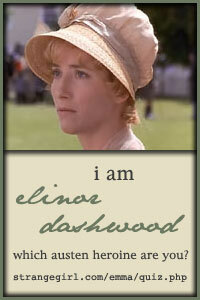 Fanny and Edmund are boring as a heroine and hero.” In my mind, nothing could be further from the truth. M.P., I think, is Austen’s most mature novel. It really explores the human mind and displays the differences between good and bad. M.P. is also an entertaining read. From the private theater to the visit to Sotherton to the deep discussions between the main characters and Fanny’s come-out ball I am never bored. M.P. 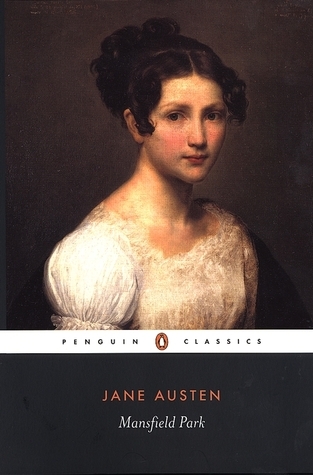 is perhaps not as entertaining as Pride and Prejudice; as light-hearted as Northanger Abbey; as sparkling as Emma; as satisfying as Sense and Sensibility; or as tender and romantic as Persuasion, it still ranks (in my thinking) as one of the top three of Austen’s works. Fanny is a very interesting character. In her own quiet way, she is the strongest of all the characters. She refuses to act and doesn’t get carried away by the charm and good looks of Henry Crawford. She is intelligent, understanding, and full of many other good qualities. 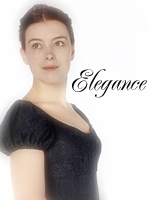 Fanny may not be the liveliest Austen heroine, but besides Anne Elliot, she is probably the most mature of all heroines. Edmund is not boring and dull. He has lots of good character traits even though he is led somewhat astray by Mary Crawford. Edmund and Fanny understand each other very well, and it’s easy to tell why they are attracted to each other. Thus ends my post. Sorry for ranting, but I just can’t understand people when they say that M.P. is boring and dull. Have a good day and please tell me what you think about M.P. Enjoy! Feel free to put them on your blog, but link back to me please. I made up these pages using My Memories scrapbooking software. You may copy these onto your blog, but please give full credit to me. Kiera Knightley as Mary Crawford?